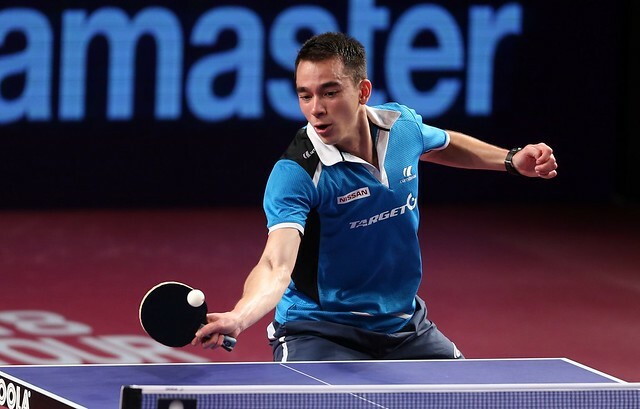 Victory over colleague Wu Yang started the journey five days earlier in the group stage of the qualification tournament; victory over a further colleague five days later, on Sunday 11th March, brought the adventure to a successful conclusion. Liu Shiwen won the Women’s Singles title at the Seamaster 2018 ITTF World Tour Platinum Qatar Open in Doha on the late afternoon of Sunday 11th March. Close but always ahead, Wang Manyu secured the opening game; she positioned herself in a rather more central position than most, enabled her to respond to any angles that Liu Shiwen was able to gain. Wang Manyu may not be the most powerful player in the world but at close to the table counter attacking play, she excels. The second game was very similar to the first the only difference being when leading 10-7, Liu Shiwen mounted a recovery; she won the next three points but no more. Wang Manyu was in the ascendancy. A good start for Wang Manyu and then maintain the advantage, never being in arrears was the pattern of the opening two games; the third game set off in the same direction. Wang Manyu established a 6-2 lead only for Liu Shiwen to recover, she levelled at 9-all, before securing the next two points and reducing the match deficit to one game. It was the turning point of the engagement. Little to choose between the two players, Liu Shiwen secured the next two games and established a 5-4 lead in the sixth. Wang Manyu called “Time Out”. It was to no avail, Liu Shiwen was now more positive and quicker with her attacking strokes, she increased the tempo; there was an air of confidence in her persona. Overall it was her 26th appearance in an ITTF World Tour Women’s Singles final, her 12th win; furthermore it was her fifth such appearance in a Doha title decider, her third success.